Throughout his NFL career the defensive end’s weight was over 300 pounds. 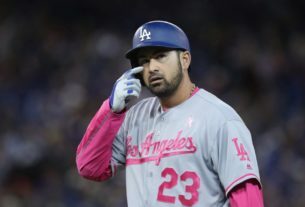 The Los Angeles native grew up eating a ton of barbecue at his family’s restaurant and also thought meat should be his main source of protein, and that he could never adapt to his wife’s vegan nutrition. But that all changed when he started having health issues that affected his career, which it did end, in 2015. Of course he had to live up the to NFL standards and be big and strong, he was on all kinds of medication, including pills for high blood pressure along with major nerve damage. From those painful injuries he struggled with bench press and pushups. It was then, in early 2014 when he was watching an animal rights documentary indulging on a milkshake when he decided to be apart of the elite group of vegan athletes and start looking further into vegan nutrition. 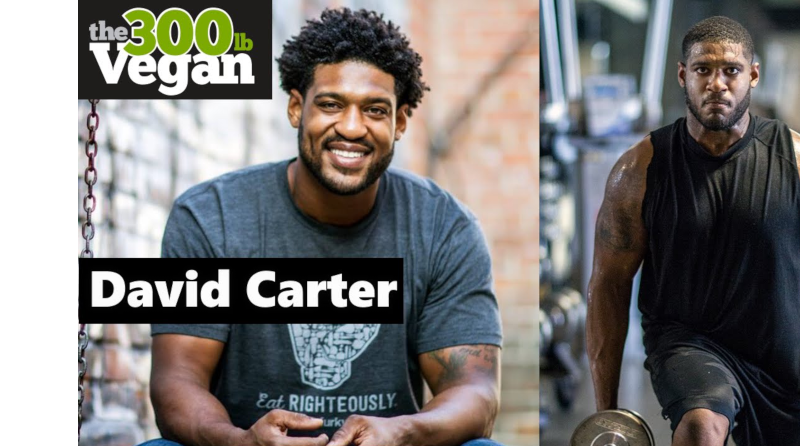 For many sportsman who have changed to vegan athletes, most reasons were similar to why David Carter changed. Rich Roll suffered poor health before becoming part of the vegan athletes group as one of the best marathon runners while in his 40’s. And champion tennis start Venus Williams change diet to all vegan nutrition fiver years ago after being diagnosed with Siogren’s syndrome, which caused major fatigue and shortness of breath. The common question among non vegans has always been, where do you get your protein from vegan nutrition? 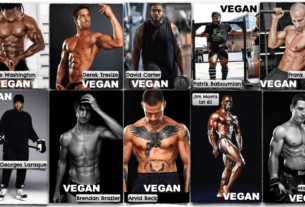 Vegan bodybuilder Torre Washington who’s been part of the group of vegan athletes for 18 years chuckles stating, “it’s always the first question.” He also stated you don’t need protein to get big and lean as he focuses on nutrients in variety. Vegan athletes including Torre Washington and Olympic medalist Carl Lewis said sportsmen undoubtedly have the worst diets on the planet, and think athletes should work more on increased calories rather than increased protein. Man registered dietitians agree that we tend to exaggerate the amount of protein the human body needs, they also state a balance diet of veggies, fruits, good grains may not be enough for vegan athletes. Venus Williams says she makes up for that loss by having some cheese, yogurt and some fish once in a while. Although this isn’t vegan nutrition she says this is only on her “cheat” days. We do have to keep in mind about athletes is that all of there bodies digestive system work differently than each other. Some like to say you’re not what you eat but rather you are what you digest and absorb. That means some might put organic eggs into an athletes diet because it’s highly absorb-able protein, but not cheese. The nonprofit Physicians committee on Responsible Medicine, who promotes a no meat and no dairy diet recommends about 10% of your total calorie count should be by way of protein. Vegan athletes on a vegan nutrition diet who are involved in a high intensity store can increase their protein consumption up to 30% of their total calorie count. In the big picture protein protein is actually a very small percentage of maintaining a good healthy vegan nutrition. The emphasis should really be focusing on vegan athletes consuming a large variety of nutrient-dense food in their daily consumption. Most vegan athletes will not need to make a huge change in their daily diet, they’ll most likely just need more calories. When Carter was in his late 20’s he was enduring very intense training and consuming upwards to 10,000 calories a day and trying to get 300 grams of protein. Now that’s a lot of food that probably required a lot of attention throughout the day. Once Carter made the switch to becoming apart of the vegan athletes group he realized that he could get the same amount of vegan nutrition all from beans, fruits, veggies, grans that allowed his to bench press 465 pounds. Fun fact, the strongest animals on the plant include elephants, gorillas and rhinos are all plant based consumers! However, professional athletes still say they struggle with the idea of becoming a apart of the vegan athletes list. If you think about it, try eating 1200 calories of grains and fruits, it’s a little difficult for extreme sportsmen and women. Athletes want to get the most out of every single item they put in their body. All vegan athletes should consult with their vegan nutrition expert to enure they’re maintaining enough calories intake and protein for their daily battle on the field. 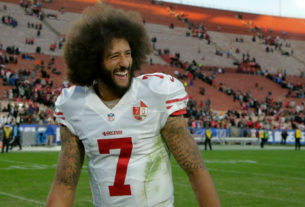 NFL not signing Colin Kaepernick’ because vegan diet?